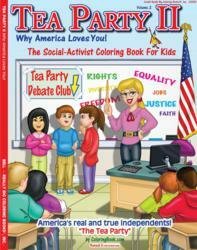 Really Big Coloring Books, Inc. has released a sequel called "Tea Party II Why America Loves You! 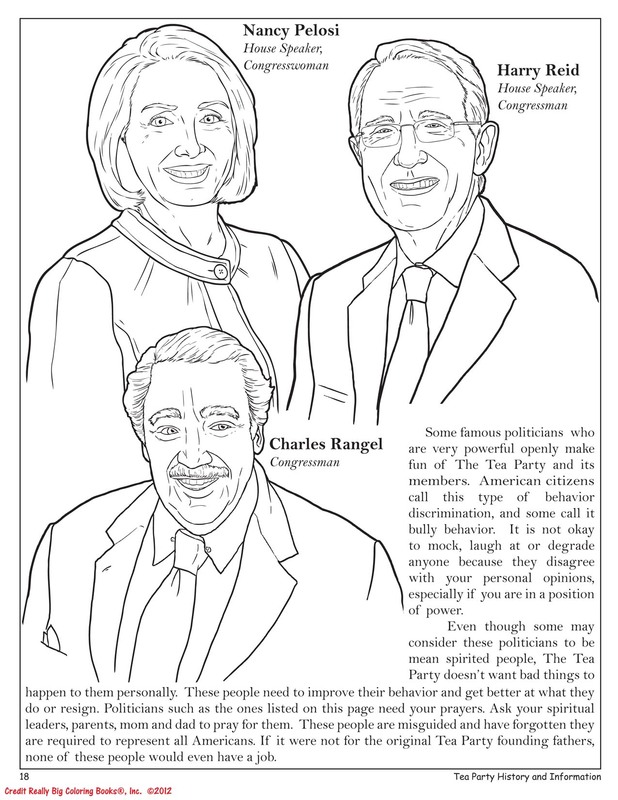 A Social-Activist Coloring Book for Kids." 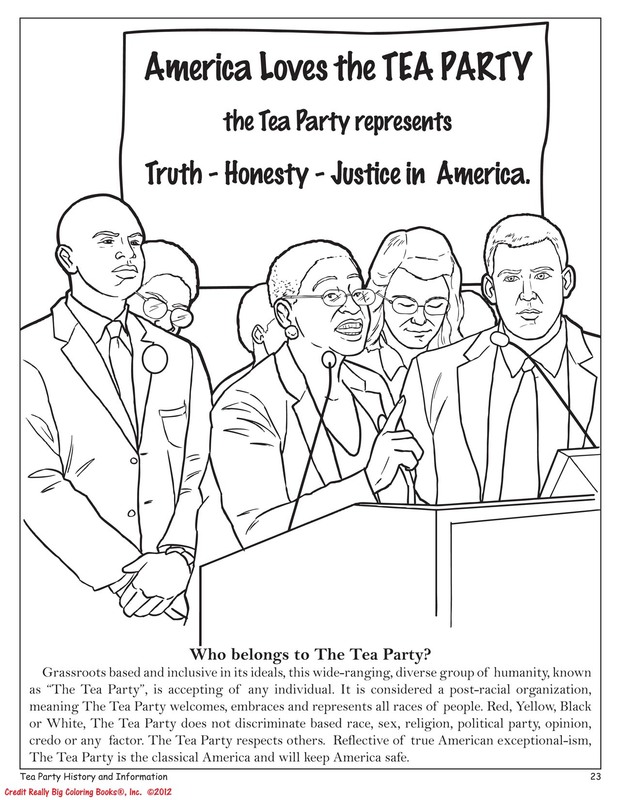 This new edition is a follow up to the ground breaking original "Tea Party Coloring Book for Kids" published in 2010. Kentucky Republican Sen. Rand Paul will give the Tea Party response to President Obama’s State of the Union this week. Florida Sen. Marco Rubio, another Tea Party favorite, gives the official Republican response Tuesday, according to the Los Angeles Times. Americans are completely fed up with Washington Politicians and their inability to address American needs, said Wayne Bell. This fantastic coloring book is manufactured with the readers and end users in mind. 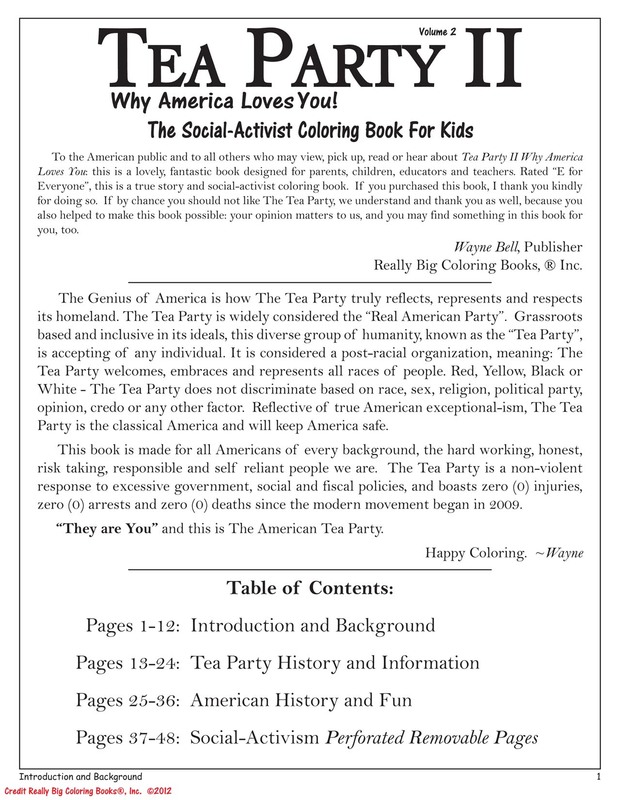 Designed with honor, integrity, truth and justice, the new 48 page, high quality book reflects the current political climate and will directly engage children of all ages into this modern social activist movement called The Tea Party. The educational and informational book has four sections and the last of which has removeable, perforated pages for advancing the ideas of social activism. Also included is a certificate of participation so children and educators may proudly display their Tea Party Debate Club credentials. "Explain the truth so a fourth grader can understand it, and not only will it make sense, it will get the attention of all who read it. The millions of supporters are why we make these true-to-life cultural event coloring books. Thanks to all those who value truth, liberty and freedom. Truly, this is America's foundation, " said Wayne Bell, Publisher. Children of all ages still engage in one the most fundamental and popular activities: playing with Coloring Books. 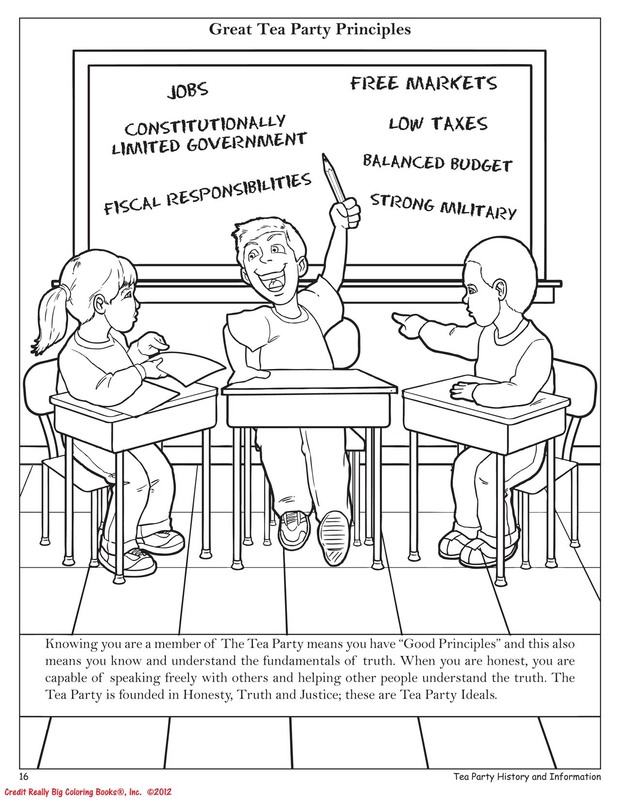 Designed for the coloring ages plus many adults, this factual new product is a wonderful book in the "The Tea Party for Kids" series. Retailing at $4.99-$6.99 the book is available today at Coloringbook.com and major book sellers such as Amazon.com, Abe Books and Barnes & Noble. Along with today's digital mastery and electronic games, children continuously engage in the basic art of coloring as a creative and developmentally nurturing activity within the educational and home settings. Bringing together educators, children and parents for decades, Really Big Coloring Books, ® Inc. is headquartered in St. Louis, MO and provides retail fundraising and promotional opportunities through coloring books. Known for their classic, unique and colorful book designs, the company has market-leading positions in its custom and trademarked coloring book brands. Their products produced on recycled paper and soy inks are multi-cultural, multi-lingual and used by adults and children alike. RBCB operates four divisions; retail, fundraising, custom and creative with over 500 coloring book domain properties globally. Reallly Big Coloring Books, ® Inc. Tea Party II introduction and message from Publisher.Contents of book. 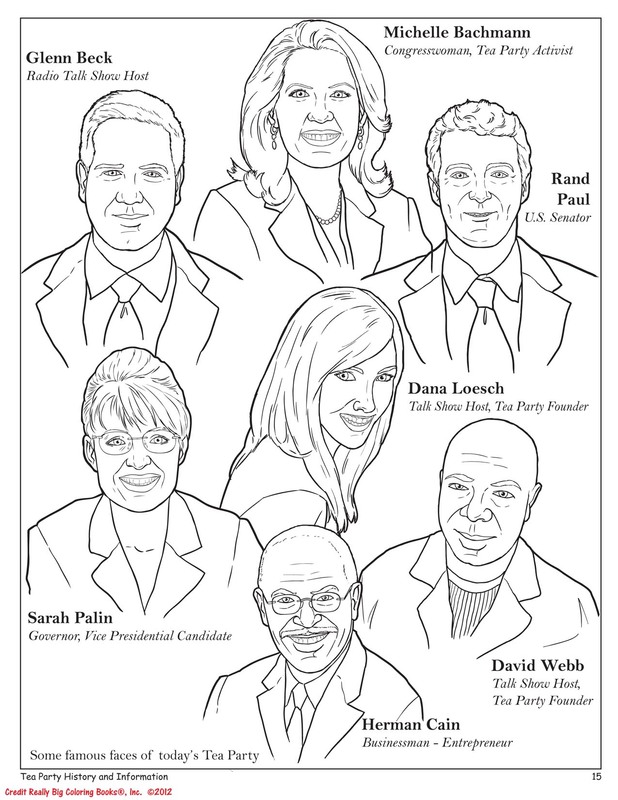 Famous faces of today's Tea Party.The Tea Party is inclusive. Great Tea Party Principles.Founded in Honesty, Truth and Justice - The Tea Party. Pelosi - Reid - RangelTea Party Denouncers! Grass roots based and inclusive, The Tea Party is a post-racial organization.The Tea Party will keep America safe. 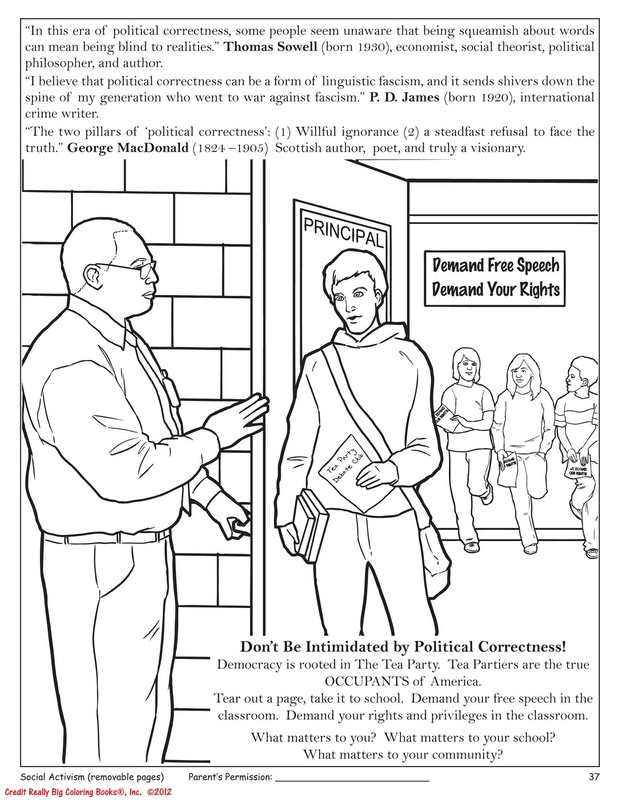 Do not be intimidated by Political Correctness.Demand your Free Speech Rights. 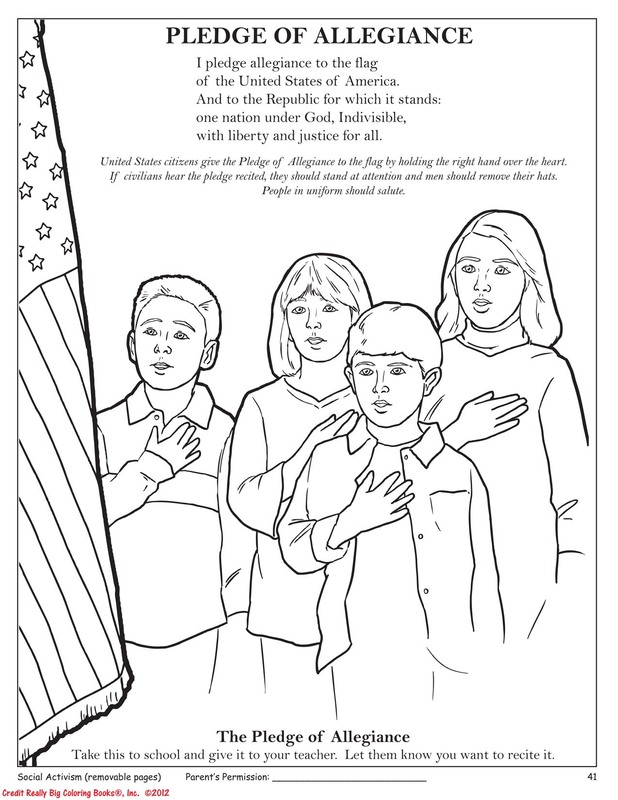 Pledge of Allegiance.Take this to school and share with teachers and friends. 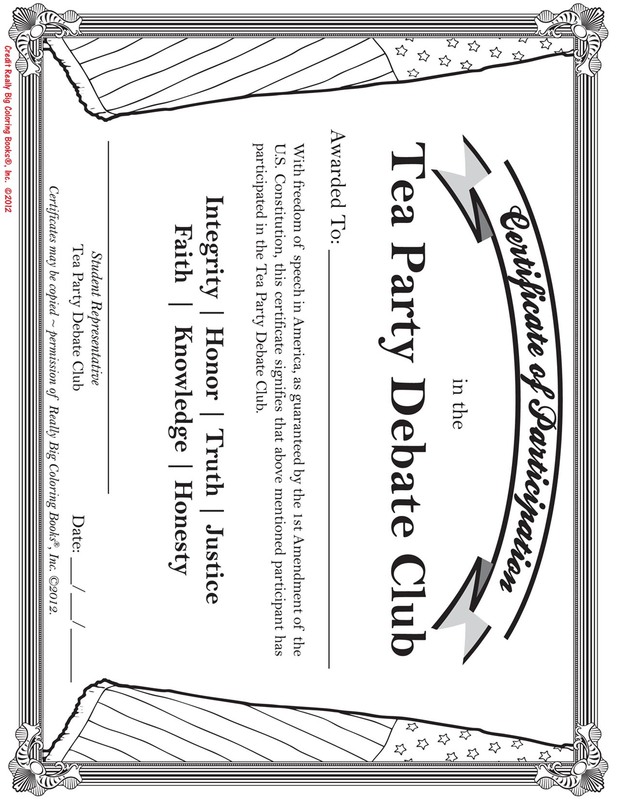 Certificate of ParticipationThe Tea Party Debate Club.